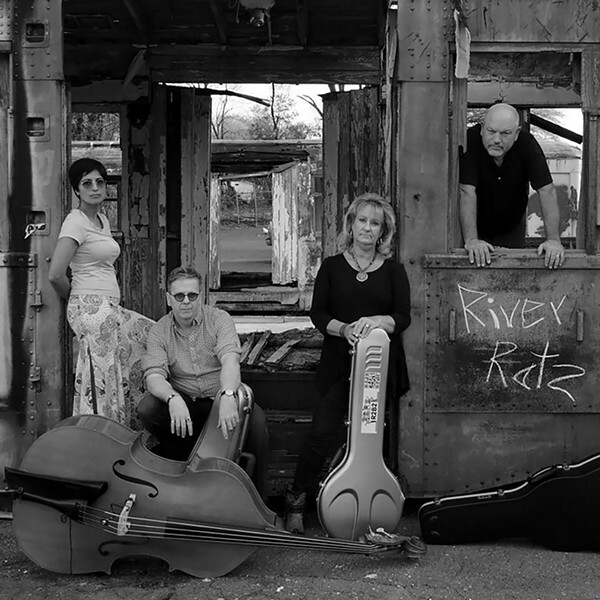 River Ratz are (from left) Scott and Suman Lankford, and Steve and Margie Ratzlaff. OLD-TIME STRING BANDS may be among the least hip or cool musical outfits you could think of, but they're also among the most fun to dance to. 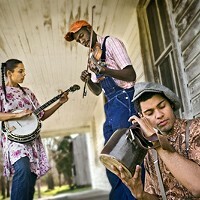 Go see a band like the Carolina Chocolate Drops and try to remain seated. You can't do it. String-band music and its later offshoot bluegrass are, by definition, traditional genres. In the old days, at least on the surface, that meant a typical quartet was made up of scraggly white men picking guitars, sawing on fiddles, plucking banjos and upright bass, and moaning high-lonesome harmonies, Bill Monroe-style, over rural folk melodies often played at lightning speed. I say "on the surface," because if you dig deeper into the history of Southern and Appalachian string bands, there were as many African-American string bands as white ones. Those groups just didn't get the attention of a Louvin Brothers or Flatt & Scruggs, or even subsequent so-called newgrass acts such as the Seldom Scene or New Grass Revival. Popular attention to diversity in the world of old-time string bands didn't come until years later, when the Black Banjo Gatherings of the early 2000s birthed the Carolina Chocolate Drops. Today, Chocolate Drops singer Rhiannon Giddens is a solo star of Americana music, and younger acts playing old-time black string-band music have cropped up everywhere. All of this makes the River Ratz' arrival on Charlotte's acoustic string-band scene intriguing. 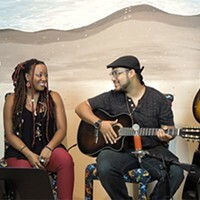 This outfit embraces a different kind of diversity — two men and two women, one born in India and raised in Maryland, where she got the best of both musical worlds. "My family emigrated from India to the U.S. in 1972 when I was 4," River Ratz' upright bassist Suman Lankford says. "We had no money for records, so I listened to the Top 40 on the radio and my mom's Indian records. As a teenager my brother brought home rock albums from the library, and that's when I discovered the Beatles, Cat Stevens, Simon & Garfunkel and even Elvis. I liked everything I heard." 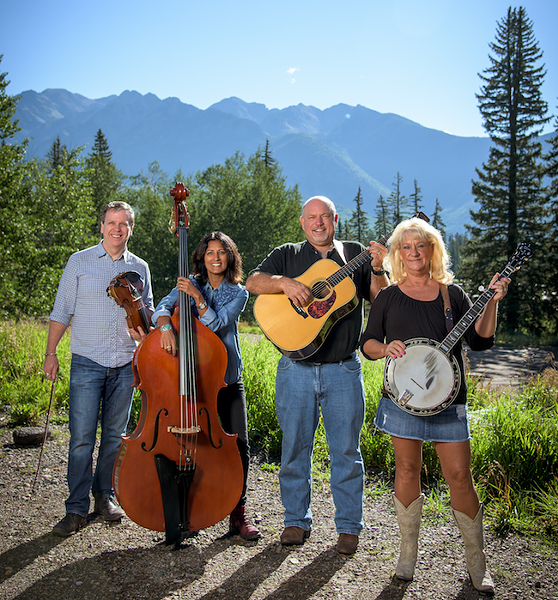 The River Ratz formed when banjo player Margie Ratzlaff and her contractor husband, guitarist Steve, began playing together in their living room in 2014, with son Matt on bass. They eventually recruited oncologist Scott Lankford to play mandolin, fiddle and other instruments. Lankford's wife, pharmacist Suman, would sit in on washboard occasionally, before joining the band full time on bass when Matt left for the military. The quartet performs a mix of originals and standards, and will be doing several shows in the Charlotte area in the coming weeks, including one on July 28 at Birdsong Brewing in NoDa. I talked to the River Ratz recently to find out what inspires this diverse group of pickers and grinners. Creative Loafing: Diversity in the world of string bands has been on an upswing in the past decade or so with the arrival of the Carolina Chocolate Drops, all-female groups like Della Mae and Béla Fleck's collaborations with Zakir Hussain. What role, if any, does River Ratz' diversity play in your music? Margie Ratzlaff: I love our nontraditional group of two women and two men onstage. It is very important to me that we are unique, because it allows us to create something that is original and different from traditional groups. None of our [onstage] dialogue is rehearsed; it just comes so naturally and comes from the heart. So much of what comes out onstage is naturally humorous, because we are two married couples. All of you were born in the U.S. and grew up on American music, except Suman, who was born in India and raised here listening to both the American Top 40 and her mother's Indian records. Does that influence make its way into River Ratz' music? Suman Lankford: [laughs] No, not really. I begrudgingly listened to Indian music [as a child], but now I even listen to it while I'm running. At some point I would like to get into it more, for the rhythms. Indian music is completely different than Western music, and I'm not sure most Americans would find it pleasing. Speaking of being two married couples — how does that dynamic work out in the band? Steve Ratzlaff: The fun of playing music with your wife and awesome friends is an unbelievable high. Now that my wife and I are empty nesters, playing music has created a special bond between us and has given us something that we can do together. Suman Lankford: We have always said at shows that we're two empty-nester couples that have both been married a long time. I think it helps the audience to see us and think about maybe doing something similar with their significant others. What's the perfect River Ratz show — that performance where you all walk away 100-percent satisfied that you've delivered? Scott Lankford: Our best shows are when we get the audience involved. We call this "fun-grass." We always bring a grab bag of percussion instruments and hand them out to enthusiastic audience members, so they can join us onstage. Sometimes audience members like to sing, and we'll learn a new song on the spot with our "guest vocalist" on lead. We feed off of the energy of our audience, and when they're involved, we are having the time of our lives.